In this film, I (Lisa Tillmann) tell the story of what was, for me, the most compelling patriotic act I encountered after September 11th, an act undertaken by two close friends, a gay male couple. Years later, Osama bin Laden may be dead, but war continues abroad, and heterosexism and homophobia persist at home. 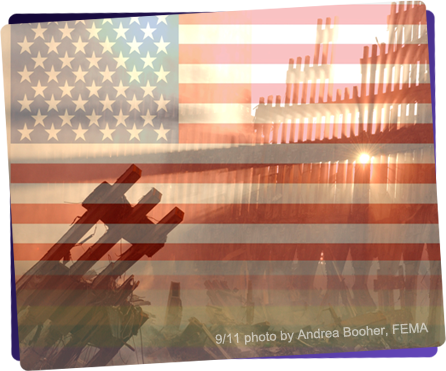 What should we remember about 9/11/2001? What lasting lessons about inclusion and marginalization does September 11th teach? In terms of LGBT [lesbian, gay, bisexual, and transgender] civil rights, what did you learn? Did anything about public policy surprise you? Explain. In your mind, what changes in legal/public policy still need to be made? What might you do to help enact those changes? The maker of this film, Lisa Tillmann, is a heterosexually-identified woman with a conventionally-feminine gender presentation. How might this affect how viewers hear her message? What roles can heterosexual and conventionally-gendered allies play in the struggle for LGBT civil rights? What makes it possible for allies to work effectively and in solidarity with members of LGBTQ+ communities? How does the maker of this film connect LGBT civil rights to other human rights? Why might it be important to make such connections? How did the filmmaker’s friendship with Tim and Rob shape how she views LGBT civil rights? In your own life, how has having a friendship with someone different than yourself shaped how you saw that person and the challenges particular to people who hold that identity? Does your school's, workplace’s, city's, county's, and state's non-discrimination/equal opportunity policy include sexual orientation? Gender identity and expression? If they do, find out when these protections were added. If they do not, do you believe they should? If so, what might you and others do to effect such change? Does your school or workplace offer domestic partner benefits to same- and/or different-sexed couples? If so, find out when these benefits were added. If not, do you believe it should? If so, what might you and others do to effect this change?